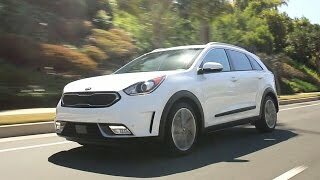 Kia is hitting the market with the passion of its work and now it’s the time for the new model Kia Niro 2017. It is the newest addition of the brand which will definitely explore the market and the company’s name with pleasure. It is a more traditional crossover and more important, it is a hybrid. 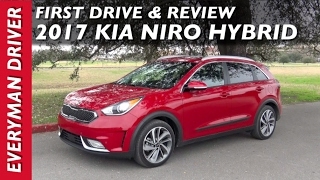 Let us have a close look at the reviews of Kia Niro 2017 and get to know more about this traditional crossover. The interior of Kia Niro 2017 is as amazing as the other models. The interior feels modern with the white and black inserts and fitted with an uncluttered and clean dashboard. The seating positions are elevated which provides a good view of the road ahead. There is also a plenty of insulation in its front structure, optimized suspension bushing stiffness, body sealing, and expanding foam inside the A- and B-pillars. In addition there is a 106.3-inch wheelbase, short overhangs, and wide stance which means, there’s ample leg, head, and shoulder room to enjoy in the front and back. It also includes UVO3 system with Android Auto, Apple CarPlay, and UVO eServices with 14 telematics services. 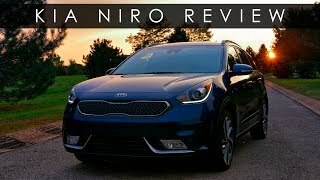 Kia Niro 2017 has as classy exterior as the other versions in the lineup. 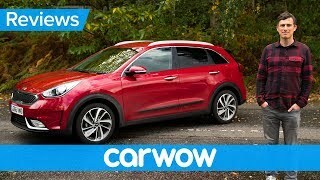 Kia describes the Niro’s styling as a "un-hybrid design". Now coming to front there is a company’s trademark "tiger-nose" grille. There are vertical headlamps angled toward the A-pillars, the vertical vents in the bumper, and the large lower grille, it gives the Niro a sportier, car-like stance. Rear includes high-mounted taillights, the small rear glass, and skinny bumper lights. The new features include the C-shaped LED light cluster, the sporty looking tailgate spoiler, and the body-colored apron with aluminum inserts. 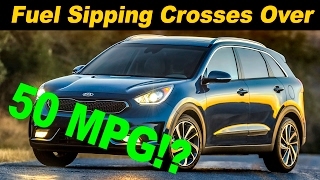 Kia with such features introduces the Niro crossover, brilliantly in the market. Kia Niro 2017 is powered with a 1.6-litre "Kappa" four-cylinder engine. It gives the total power output of 103 horsepower and is paired with a 43-horsepower electric motor that gets its juice from a 1.56-kWh lithium-polymer battery pack. The GDI and Atkinson cycle technology along with the DCT will enable the Niro to return up to 50 mpg on the highway. Niro is not only powerful, but it is lightweight made from 53 percent ultra-high strength steel and extensive use of hot-stamped components.